The Grace Hopper Celebration of Women in Computing is the world’s largest gathering of women technologists. 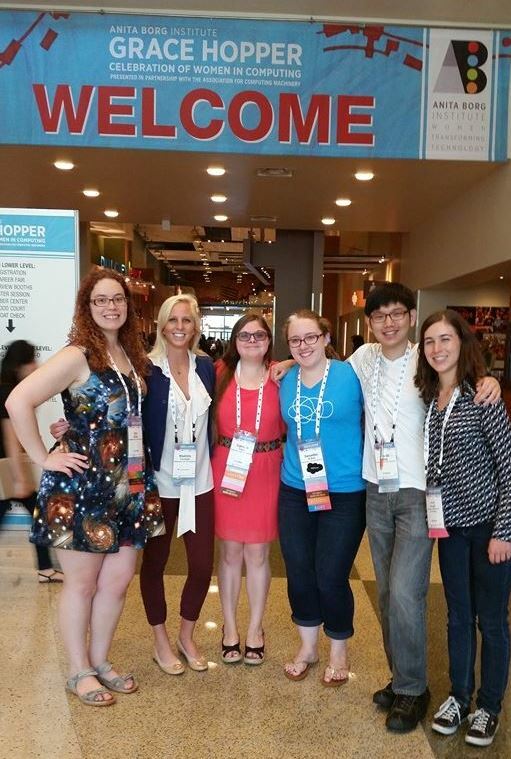 Earlier this fall, W&L’s Computer Science Department was fortunate to have five senior computer science students attend the GHC in Phoenix, Arizona for the 14th Grace Hopper Celebration (GHC). The W&L attendees starting from the left (Cory Walker, Madeline Forrestel, Gabi Tremo, Sam O’Dell Paul Jang and Alicia Barger ‘13) are all senior computer science majors who presented projects at the poster session on Wednesday night of the conference. This is a record number of attendees from W&L, a trend we hope will continue because the conference is such a valuable experience for attendees. Madeline received a scholarship from GHC and Paul received a scholarship from his summer research program to attend the program. The other attendees received funding from the Provost’s Office and the Computer Science department. Of the conference attendees, 483—or approximately 6 percent—were men, including Paul Jang, the first W&L man to attend GHC. While the conference focuses on celebrating the achievements of incredible women in computing, this year the celebration incorporated the first ever male keynote and plenary Male Allies panel. The students even met up with Alicia Bargar, a 2013 graduate and current graduate student at Georgia Tech. One of my favorite talks was the one by Jo Miller, on overcoming office politics. Her talk was so crowded that it was in one of the largest ballrooms, she held two sessions, and we were turned away from the first one because it was overcrowded. She talked about different ways to think of office politics in a positive light and use it to get ahead. She also used a technique called a Shadow Organization map to identify key areas for improvement. The most interesting person to come by my poster was a man whose brother (now deceased) went to W&L before women were even admitted. He said his brother was against the integration, but then we talked about how much the school has improved since that time. 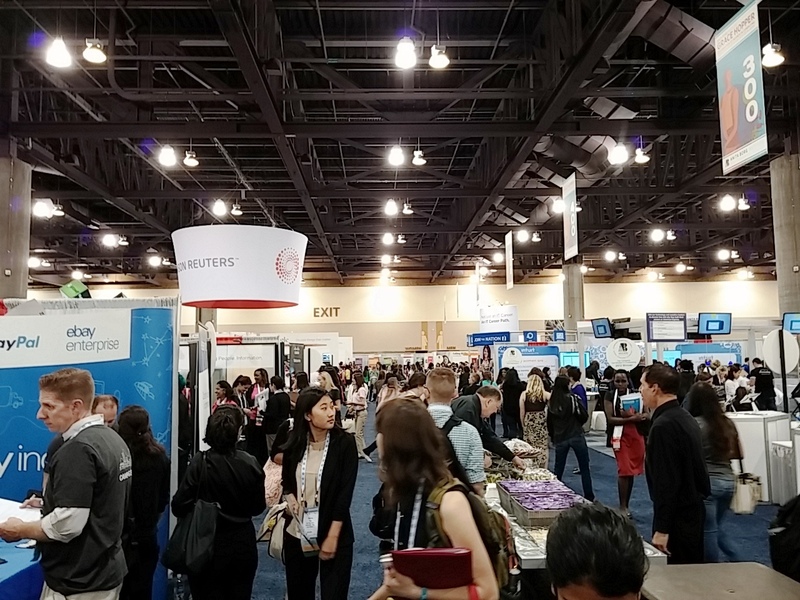 It was interesting hearing this perspective of W&L at a women’s computer science conference in Phoenix, AZ. It was my third year going to the conference, and as always, I had a wonderful time and got many interviews from the companies there. And of course, I’m very grateful to W&L and our Computer Science Department for helping pay our way. Attendee Madeline Forrestel had this experience. 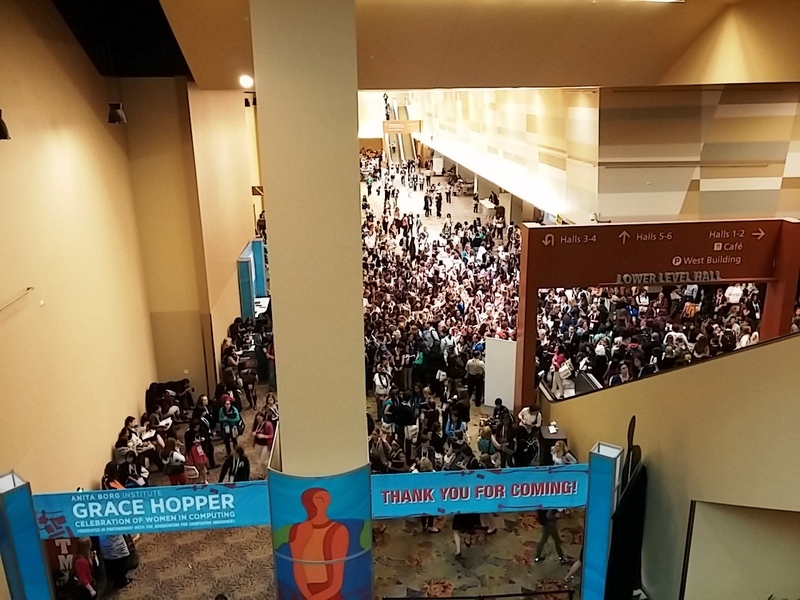 “It was truly a privilege having the opportunity to attend the Grace Hopper Celebration this year. I was wonderfully overwhelmed by the number of brilliant women, young and old, who surrounded me. I have never left an event feeling more inspired than I did leaving Phoenix. One of the most outstanding elements of the conference was the career fair. It was truly motivating to see just how many opportunities are out there and how enthusiastic and supportive companies are toward welcoming women into the industry”. Please contact the computer science department if you would be interested in helping to sponsor future attendance of W&L students at the conference. Congratulations to Camille Cobb ’12, who is a recipient of an NSF (National Science Foundation)graduate Research Fellowship. Camille Cobb is a University of Washington, Computer Science and Engineering Ph.D. student. Research Fellowships are among the most prestigious awards available to graduate students in the STEM (Science, Technology, Engineering and Math) field. Computer Science alumnus Sam Reed ’10 interviewed in the NBC News article “Open-source advocates to government: Let us help you fix healthcare.gov.” Also, see the story on W&L’s news blog. 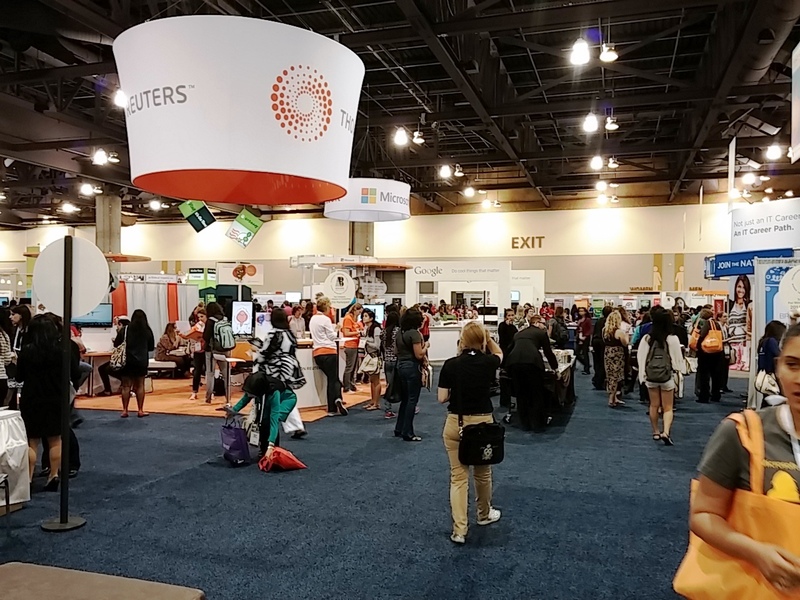 Three W&L students, one faculty member, and one alumna attended the Grace Hopper Celebration of Women in Computing in Minneapolis, Minnesota. The conference was the largest in GHC’s history with over 4800 attendees! 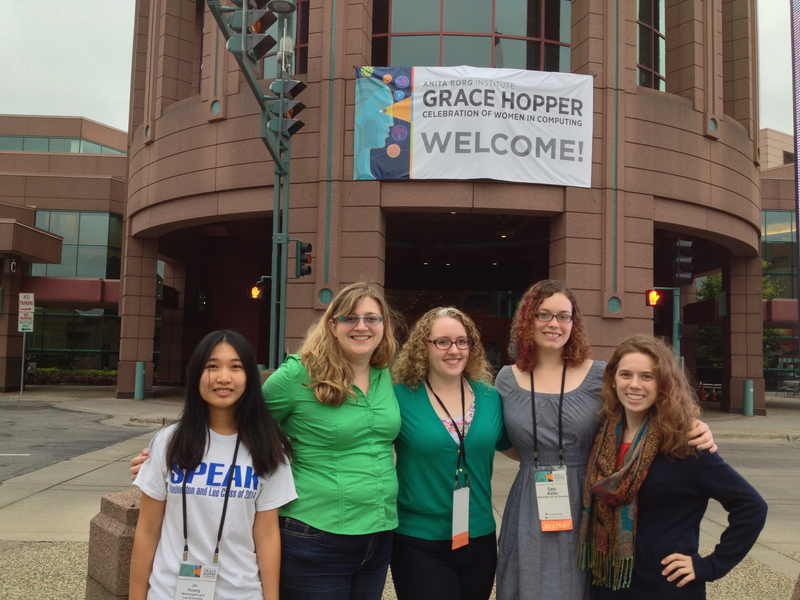 From left to right, Ginny Huang ’14, Professor Sara Sprenkle, Sam O’Dell ’15, Cory Walker ’15, and Camille Cobb ’12 pose outside the Minneapolis Convention Center under the Grace Hopper welcome sign. Sam O’Dell ’15 and Cory Walker ’15 were awarded scholarships to attend the conference. Ginny Huang ’14 was waitlisted for a scholarship, but W&L provided some funding to help defray the cost for her attending. All three students had interviews with a variety of companies at the conference and were inspired and learned a lot from the various sessions. Alumna Camille Cobb ’12–now a graduate student at the University of Washington–attended the conference through a scholarship that she earned as a Google intern this past summer. 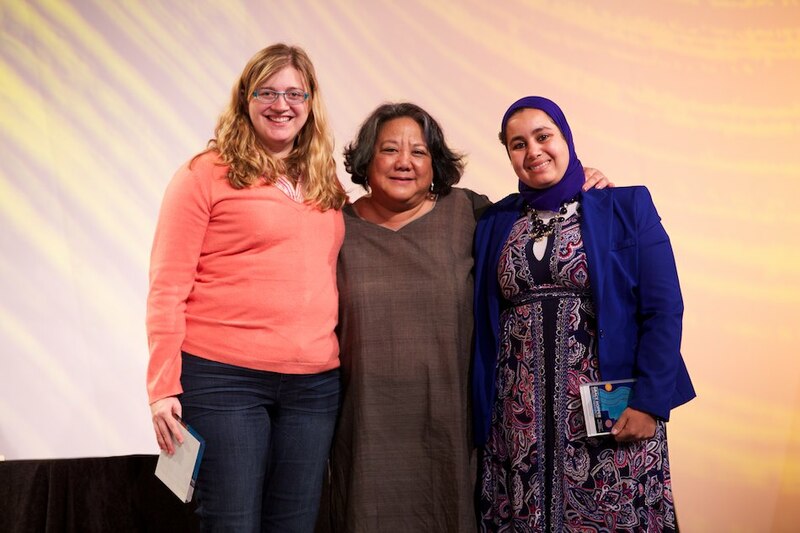 Poster co-chairs Sara Sprenkle (left) and Kaoutar El Maghraouri (right) pose with Barbara Gee, ABI Vice President of Programs, (left) during the opening session. Professor Sara Sprenkle served as the co-chair of the poster session with Kaoutar El Maghraoui from IBM. Their work included organizing the Student Research Competition, which involved 28 student participants–6 of whom became semi-finalists and presented their work in another session–and over 30 judges. Sara and Kaoutar were quite pleased with the quality of the posters and presentations and the feedback the judges gave the students. 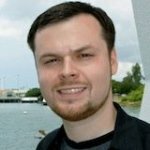 W&L Computer Science alum Adam Overholtzer ’04 has won a Shakey Award, the “Oscar of Artificial Intelligence Documentaries”. Congratulations, Adam!